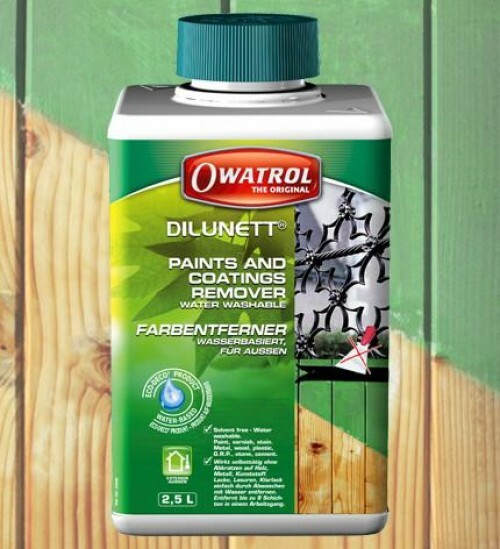 Dilunett Paints and Coatings Remover is a solvent free paint remover with the ability to strip up to eight coats on one application; removing paint, wax and varnish. Simply strip by rinsing with water. Easy to apply gel consistency so will not run – ideal for vertical surfaces. Does not dry – long active work time (up to 12 hours). Removes up to eight coats of paint, varnish, stains and most anti-fouling paint. Makes stripping elaborate or ornate surfaces easy.